You are here: Home › Further Reading › JFK Assassination FAQs › What Did the Warren Commission Say about Jack Ruby? According to the House Select Committee on Assassinations, the Warren Commission greatly understated Jack Ruby's connections to organised crime. The Commission needed Ruby to have been a lone nut, acting for personal reasons, just like Oswald. Two days after President Kennedy’s assassination, the only official suspect, Lee Harvey Oswald, was shot dead by Jack Ruby in the basement of the Dallas police headquarters. The Warren Commission’s treatment of Jack Ruby followed from its attitude to the assassination as a whole. Within hours of Oswald’s death, insiders in Washington were aware of the need for what became the Warren Commission, and had determined its purpose. The lone nut explanation was a political imperative, and came about as a direct consequence of Oswald’s impersonation in Mexico City about seven weeks before the JFK assassination; see “A Little Incident in Mexico City”. The Warren Commission’s conclusion was in place before the Commission had even been established: Oswald was guilty, and had acted alone. To counteract suspicions of conspiracy, it was necessary for the Warren Commission to show that Jack Ruby also had acted alone. Jack Ruby: Lone Nut or Conspirator? and that Ruby had received help in gaining access to the basement of the Dallas police headquarters. Some of Ruby’s childhood friends eventually became criminals; however, Hyman Rubenstein and his sister Mrs Eva Grant, and virtually all of Ruby’s friends and acquaintances who were questioned reported that he was not involved with Chicago’s criminal element. [T]he Commission believes that the evidence does not establish a significant link between Ruby and organized crime. Both State and Federal officials have indicated that Ruby was not affiliated with organized criminal activity. And numerous persons have reported that Ruby was not connected with such activity. Jesse Curry, chief of the Dallas Police Department, testified that no more than 25 to 50 of Dallas’ almost 1,200 policemen were acquainted with Ruby. However, the reports of present and past members of the Dallas Police Department as well as Ruby’s employees and acquaintances indicate that Ruby’s police friendships were far more widespread than those of the average citizen. [T]he Commission has found no evidence that Ruby received assistance from any person in entering the basement …. After considering all the evidence, the Commission has concluded that Ruby entered the basement unaided, probably via the Main Street ramp, and no more than 3 minutes before the shooting of Oswald. The House Select Committee on Assassinations was critical of the Warren Commission’s conclusions about Jack Ruby. It produced a report of more than 1,000 pages, containing details of Ruby’s criminal associations: HSCA Report , appendix vol.9, pp.125ff. The committee, as did the Warren Commission, recognized that a primary reason to suspect organized crime of possible involvement in the assassination was Ruby’s killing of Oswald. For this reason, the committee undertook an extensive investigation of Ruby and his relatives, friends and associates to determine if there was evidence that Ruby was involved in crime, organized or otherwise, such as gambling and vice, and if such involvement might have been related to the murder of Oswald. The evidence available to the committee indicated that Ruby was not a “member” of organized crime in Dallas or elsewhere, although it showed that he had a significant number of associations and direct and indirect contacts with underworld figures, a number of whom were connected to the most powerful La Cosa Nostra leaders. Additionally, Ruby had numerous associations with the Dallas criminal element. The committee also investigated the relationship between Ruby and the Dallas Police Department to determine whether members of the department might have helped Ruby get access to Oswald for the purpose of shooting him. Ruby had a friendly and somewhat unusual relationship with the Dallas Police Department, both collectively and with individual officers …. Ruby’s close relationship with one or more members of the police force may have been a factor in his entry to the police basement on November 24, 1963. Based on a review of the evidence, albeit circumstantial, the committee believed that Ruby’s shooting of Oswald was not a spontaneous act, in that it involved at least some premeditation. Similarly, the committee believed that it was less likely that Ruby entered the police basement without assistance, even though the assistance may have been provided with no knowledge of Ruby’s intentions. The assistance may have been in the form of information about plans for Oswald’s transfer or aid in entering the building or both. Jack Revill had been part of the Dallas police narcotics unit, and had known Ruby since 1953. He implied that Ruby had supplied information: Revill had “a professional relationship of a police officer to an individual such as Jack Ruby.” Revill stated that in later years Ruby “was not used as an informant by the intelligence unit. Whether or not Jack Ruby was used as a source of information, and there is a difference, this I don’t know” ( HSCA Report , appendix vol.4, pp.570f). Richard Clark, a detective in the narcotics and vice units, claimed that he had regularly used Ruby as an informant ( Warren Commission Document 85 , p.64). According to the FBI, Ruby had been “influential with Dallas Police Department” as long ago as 1948 (FBI HQ JFK File, 62–109060–10). The Warren Commission had no investigative staff of its own. It relied almost entirely on information supplied by the FBI, which had its own institutional reasons to withhold information that contradicted the notion of Jack Ruby as a lone nut. The Commission was aware of rumours linking the FBI and Lee Harvey Oswald, but was unaware of solid evidence that connected Jack Ruby with the FBI. About four years before the JFK assassination, Ruby had been casually employed as a provisional criminal informant. For the FBI’s 1959 report on Ruby as an informant, see HSCA Report , appendix vol.5, pp.205–220. 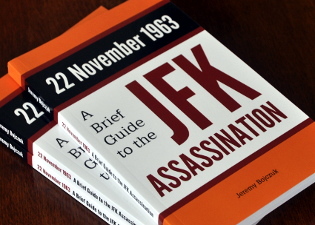 The committee concluded from its lengthy study of the roles of the FBI, Secret Service, CIA, and other Federal agencies that assisted the Warren Commission that the final determinations of who was responsible for President Kennedy’s murder and whether there had been a conspiracy were based largely on the work of the FBI. With an acute awareness of the significance of its finding, the committee concluded that the FBI’s investigation of whether there had been a conspiracy in President Kennedy’s assassination was seriously flawed. The conspiracy aspects of the investigation were characterized by a limited approach and an inadequate application and use of available resources. The committee concluded that the FBI’s investigation into a conspiracy was deficient in the areas that the committee decided were most worthy of suspicion — organized crime, pro– and anti–Castro Cubans, and the possible associations of individuals from these areas with Lee Harvey Oswald and Jack Ruby. In those areas in particular, the committee found that the FBI’s investigation was in all likelihood insufficient to have uncovered a conspiracy. The committee found that the Commission acted in good faith, and the mistakes it made were those of men doing their best under difficult circumstances. That being said, on the subject that should have received the Commission’s most probing analysis — whether Oswald acted in concert with or on behalf of unidentified co–conspirators — the Commission’s performance, in the view of the committee, was in fact flawed. Virtually all former Warren Commission members and staff contacted by the committee said they regarded the CIA–Mafia plots against Fidel Castro to be the most important information withheld from the Commission. They all agreed that an awareness of the plots would have led to significant new areas of investigation and would have altered the general approach of the investigation. J. Lee Rankin, who was the Commission’s General Counsel, said he was outraged on learning in 1975 of the CIA’s use of underworld figures for Castro assassination plots. The essential elements of the Warren Commission’s case against Oswald had been dismantled by the early critics. The showing of the Zapruder film on national television in 1975 had cast further doubt on the single–bullet theory and had turned the lone–nut hypothesis into a laughing stock. The HSCA grudgingly acknowledged the possibility that the JFK assassination had been the result of a conspiracy. It noted Jack Ruby’s obvious connections to the mafia, and concluded that although “organized crime, as a group, was not involved in the assassination … individual members may have been involved.” ( HSCA Report , p.147). The murder of Oswald by Jack Ruby had all the hallmarks of an organized crime hit, an action to silence the assassin, so he could not reveal the conspiracy. Leaving aside the unfounded assumption that Oswald had been aware of the conspiracy, the notion fails for a more substantial reason. Like most JFK assassination conspiracy theories, the ‘mafia did it’ theory fails to account for the central event that preceded the assassination. No plausible case has yet been made to explain how the mafia could have organised the impersonation of Lee Harvey Oswald in Mexico City. From as early as 1946–47, Ruby was involved in major narcotics dealings; and yet he was protected from arrest, most probably because he was also a US government informant. Ruby was, as reported, involved in payoffs to the Dallas police, for whom he was unquestionably a narcotics informant. Ruby was on good, but probably illicit, terms with judges and other high members of the Dallas political establishment. According to his lawyer, Ruby was an informant for the Kefauver Committee; and in exchange for this service, the Kefauver Committee agreed to ignore contemporary organized crime and police corruption in Dallas, specifically with respect to the 1946 takeover by organized crime of the national racing wire service. The wire–service operation was a key organizing force for criminal activity in that era, including narcotics. Profits from the resulting system of protected crime (in which Ruby was somehow implicated) were invested in legitimate businesses (such as international hotels and defense industries like General Dynamics) which formed part of the expansive postwar US military–industrial establishment. To sum up, the Warren Commission … suppressed Ruby’s links to organized crime and the political establishment. The House Committee rectified the first half of this suppression, but not the second. Scott, op. cit., pp.67–72, 127–208. Henry Hurt, Reasonable Doubt: An Investigation into the Assassination of John F. Kennedy , Henry Holt, 1985, pp.170–191. Silvia Meagher, Accessories After the Fact: the Warren Commission, the Authorities, and the Report , Vintage, 1992, pp.391–455. Seth Kantor, Who Was Jack Ruby? , Everest House, 1978.